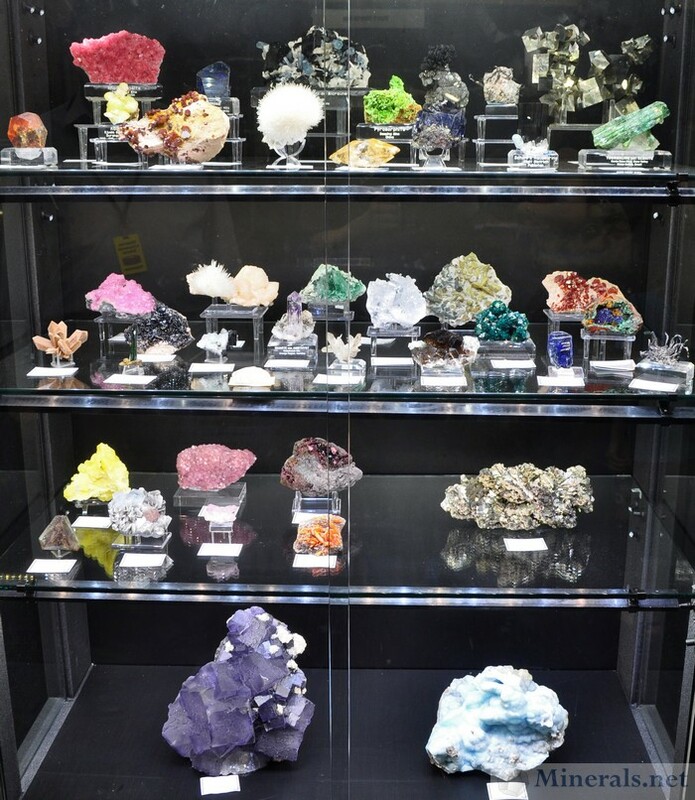 I had read about the Heritage Auctions recent Hoppel Collection auction in the Mineralogical Record and in Rocks and Minerals Magazine. 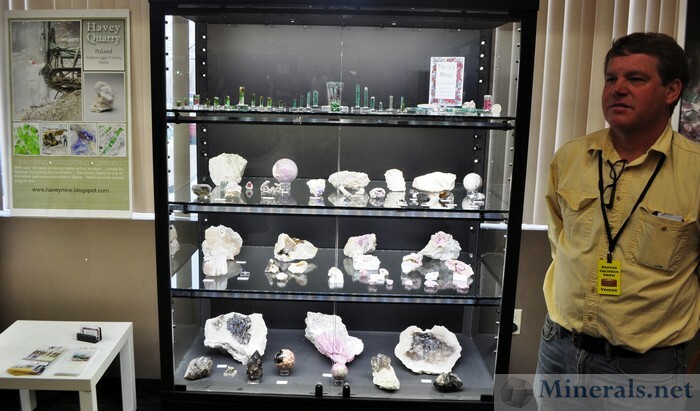 It implied that the quality of the auctioned minerals was incredible, and there was a healthy amount of bidders with mineral specimens fetching very high prices. I then saw an ad for Heritage Auction to sign up for a free catalog for the next auction: The Hoppel Collection Auction 3, taking place from Wednesday April 30 - Saturday, May 3. 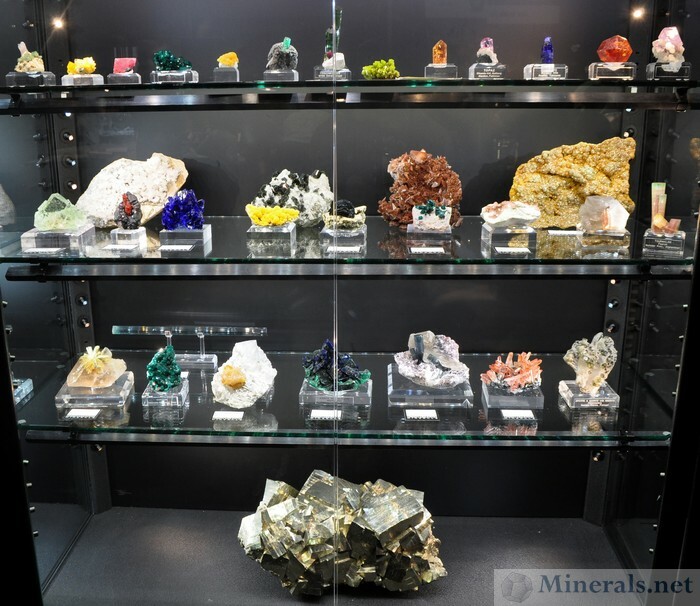 I went online and signed up, and subsequently received a large catalog in the mail filled with beautiful pictures of high-quality minerals, with a description on each mineral being auctioned. Even though most of the minerals here are well-beyond my budget, the catalog (more like a book) was very enjoyable looking through. 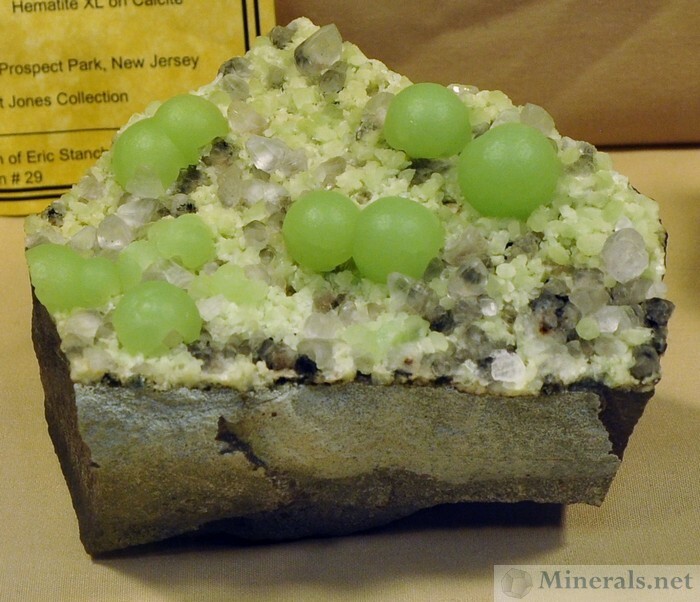 I highly recommend signing up to get the Heritage catalogs on minerals, and being in the loop with their auctions. 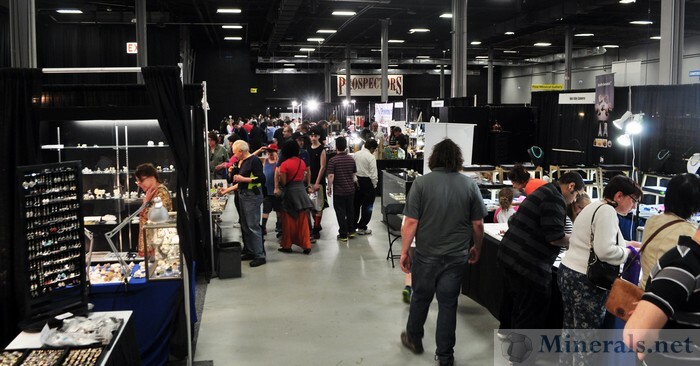 While their book is aimed at high-end collectors with large budgets, anybody can enjoy looking through it even if they cannot afford to bid. 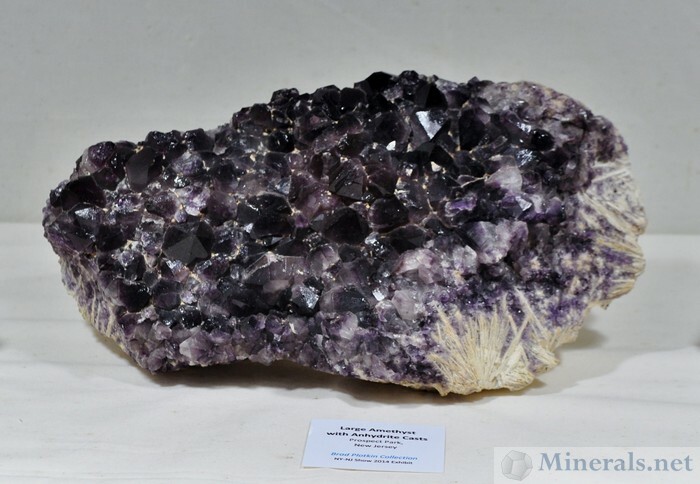 I found their estimated price range to be highly inflated. (You could take off the last zero for a more accurate estimate). 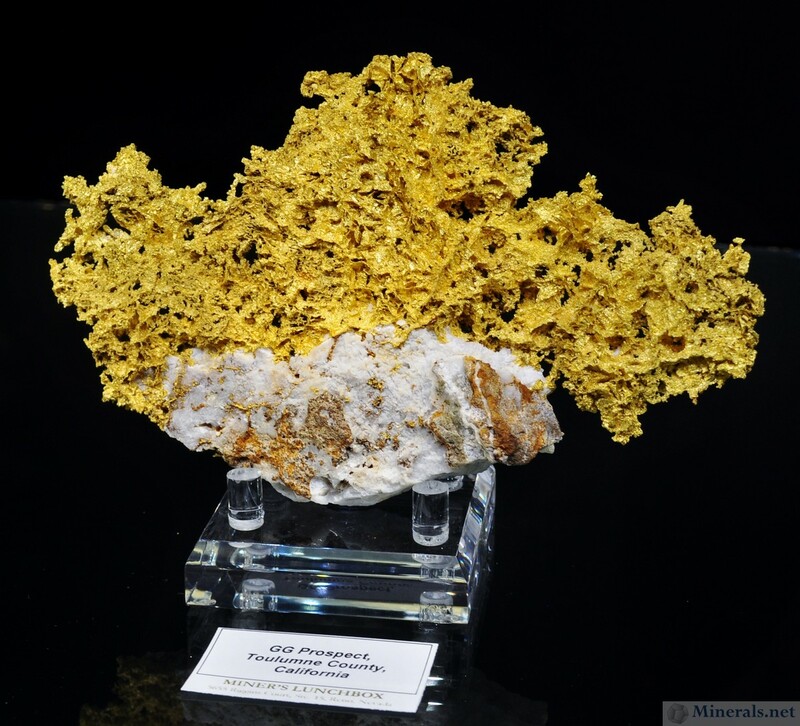 Nevertheless, these are top-notch specimens and they should fetch a healthy winning price. In addition to the final auction of Hoppel Collection of Fine Minerals and Gems, the auction features the collection of Texas Congressman John Culberson and gemstones from the Fallbrook (California) Gem & Mineral Society's gem collection. 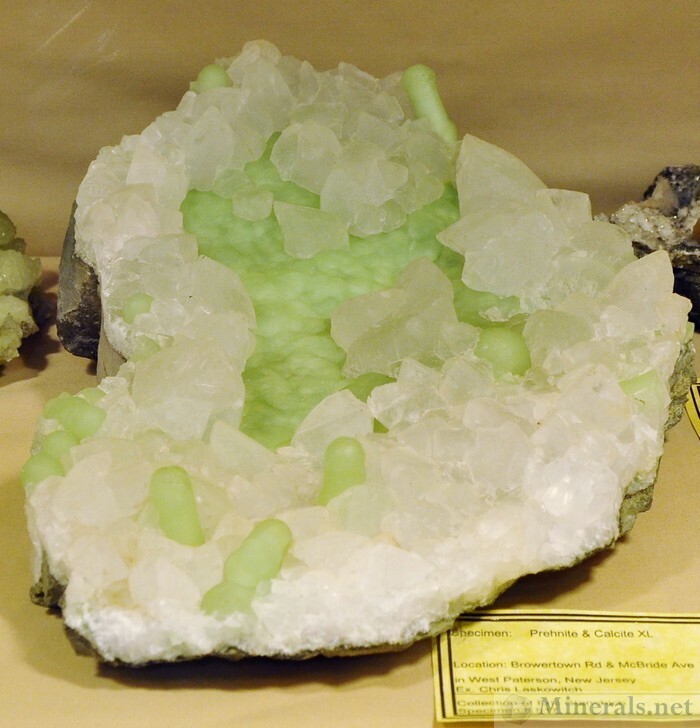 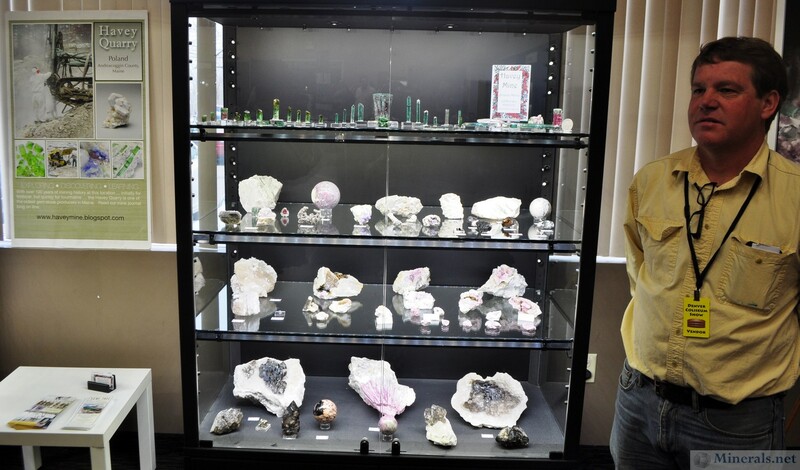 Here are several mineral display cases and individual minerals of some quality minerals. 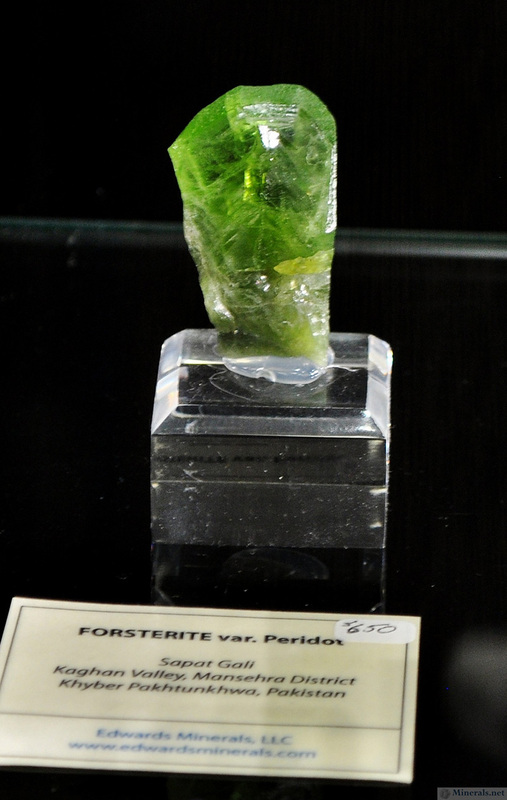 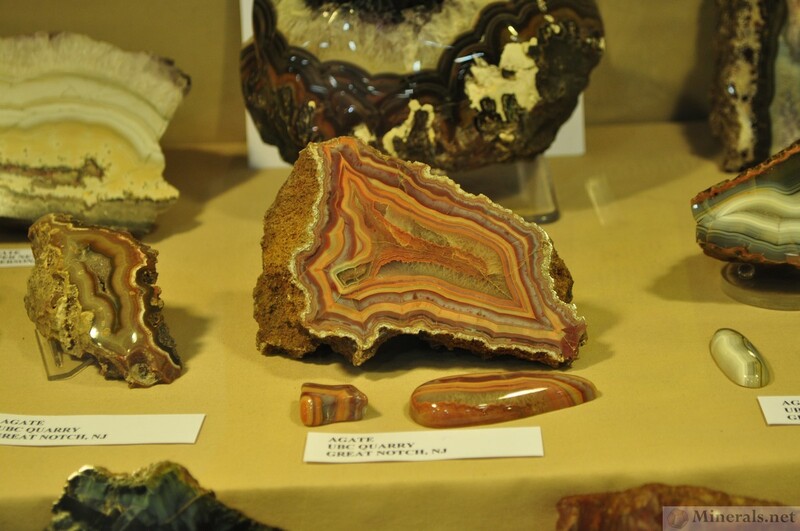 Many of these were seen in the Fine Mineral Gallery. 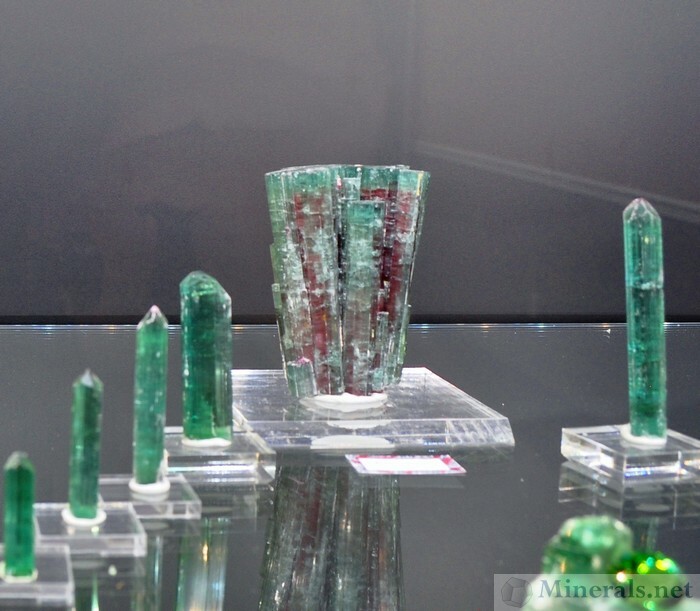 The Center Pink Topaz is Really Something Spectacular. 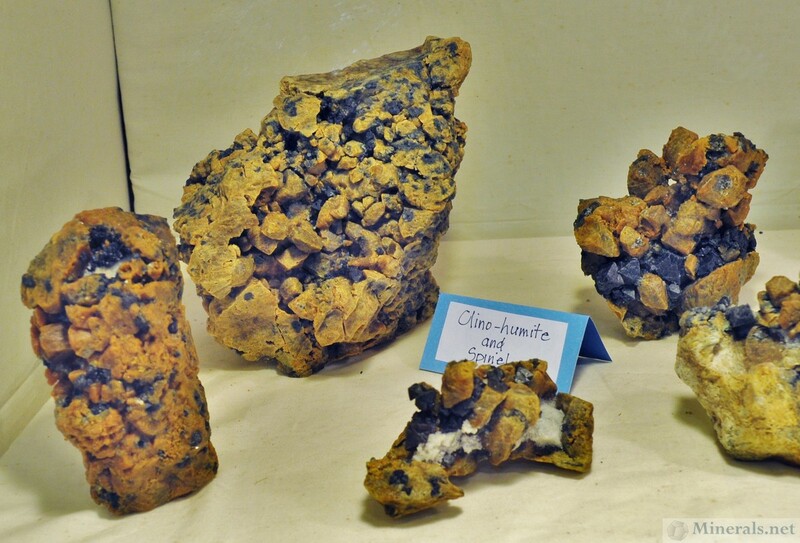 Here are some invidual mineral specimens from the public display showcases that I found interesting and were photogenic. 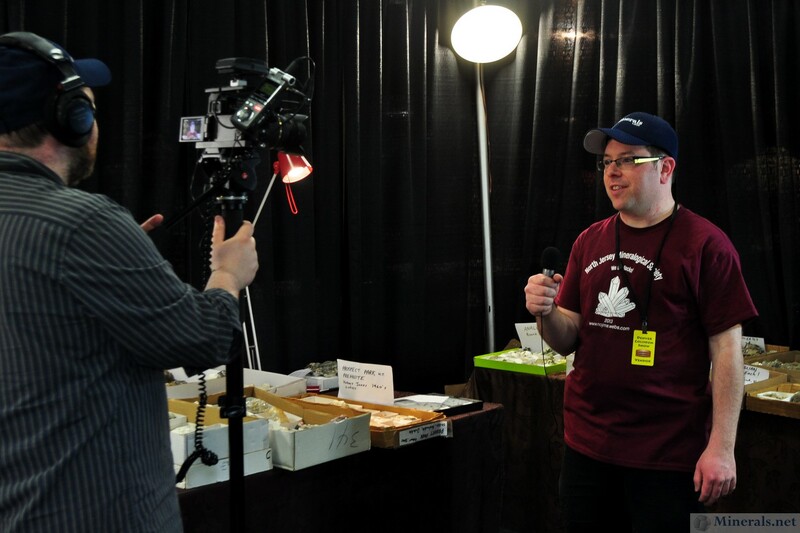 In hindsight, I realize I should have taken more of these as there were so many more good ones, including those from my own showcases. 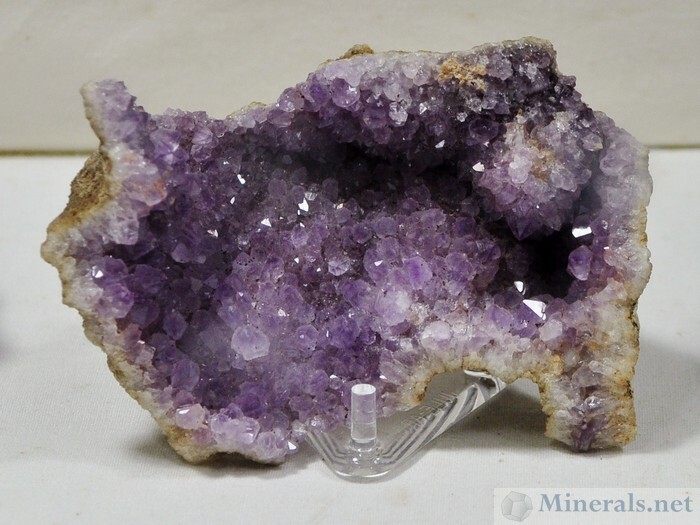 Amethyst Vug with Beautiful Colloring. 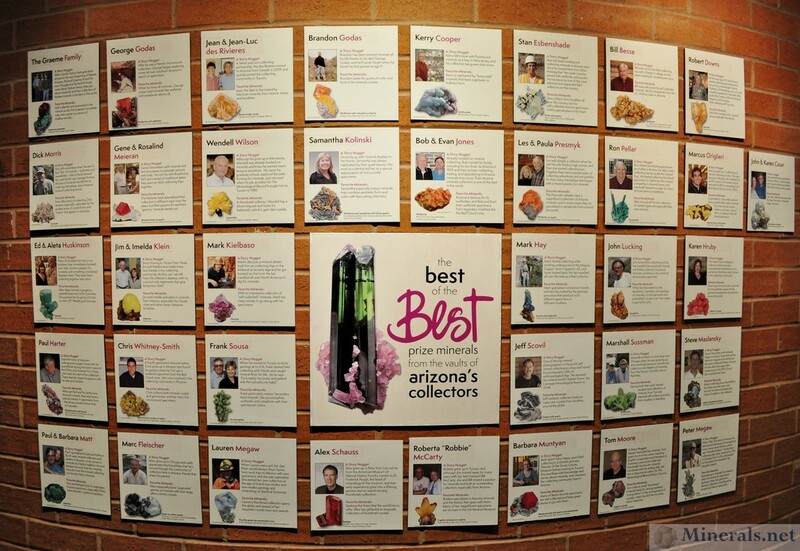 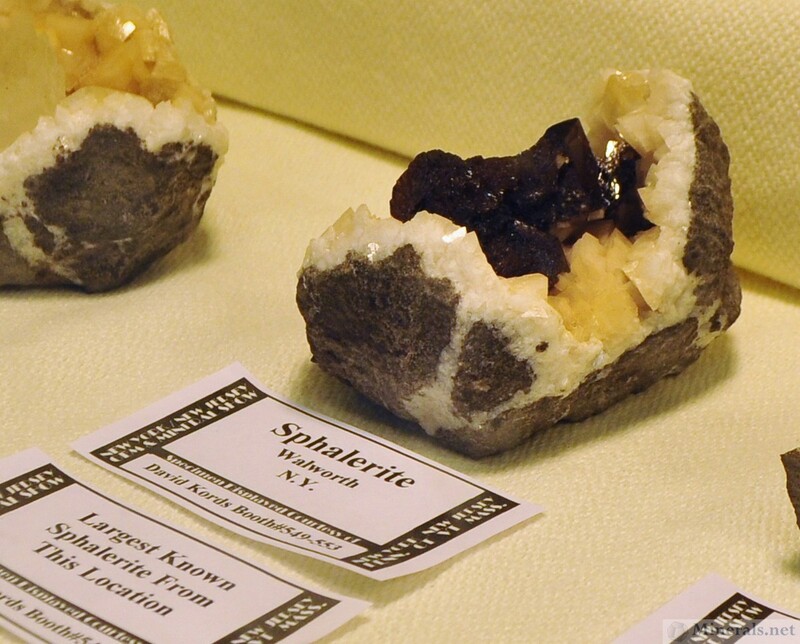 Pictured below are the public exhibit showcases that were presented at the show. The first 15 are in the order of their display in the show hall. 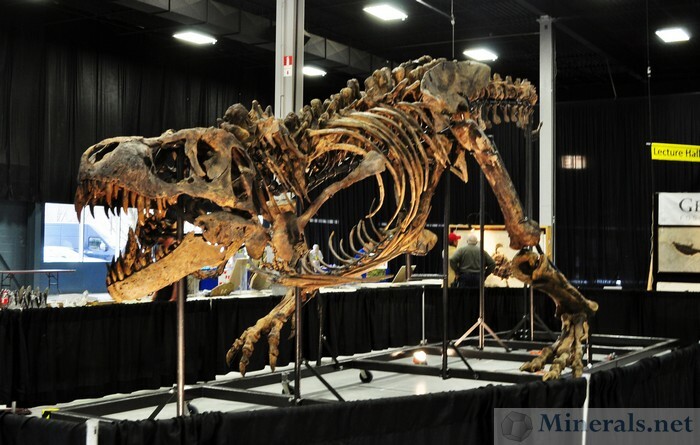 These exhibits were the first thing that people saw as they walked into the entrance of the show. The fluorescent minerals at the end of the page were in the fluorescent mineral gallery, and are just a sample of a few of the many fluorescent showcases. 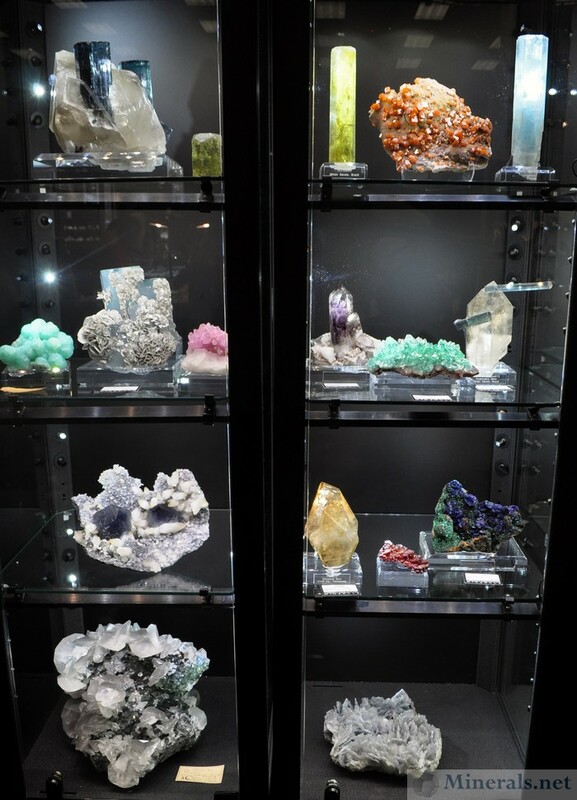 Note that the warmer and cooler colors on different images are due to the light bulb temperature of each case. 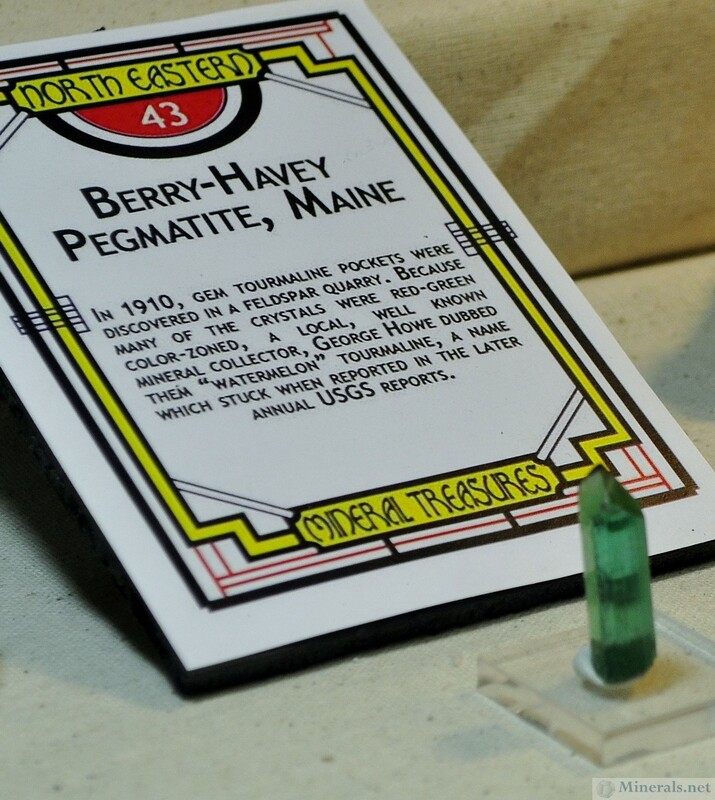 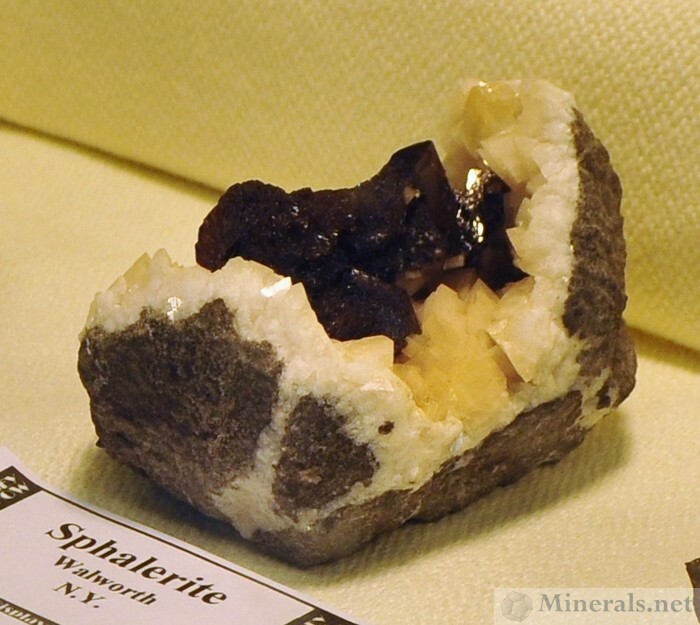 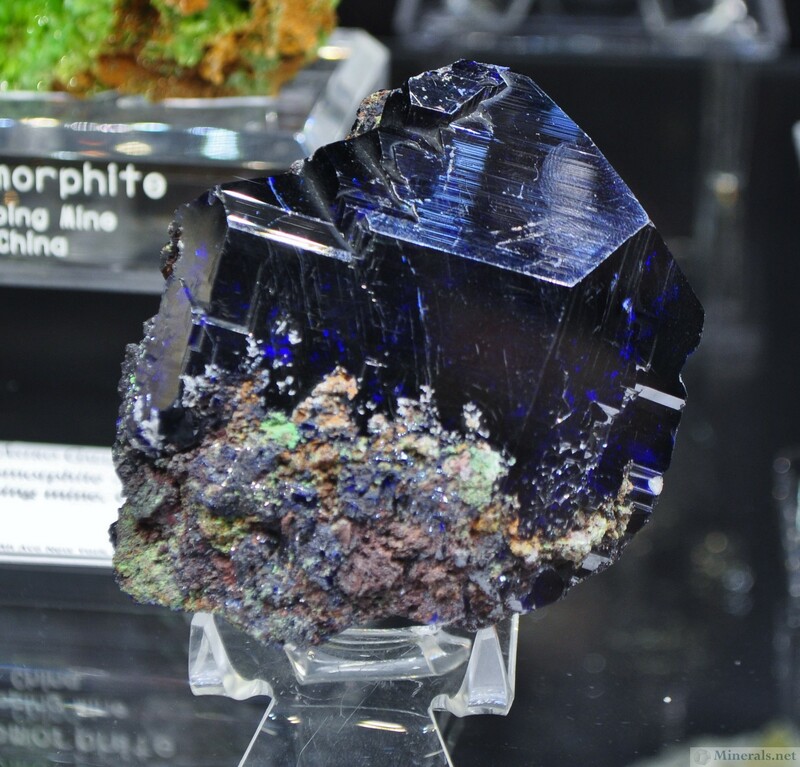 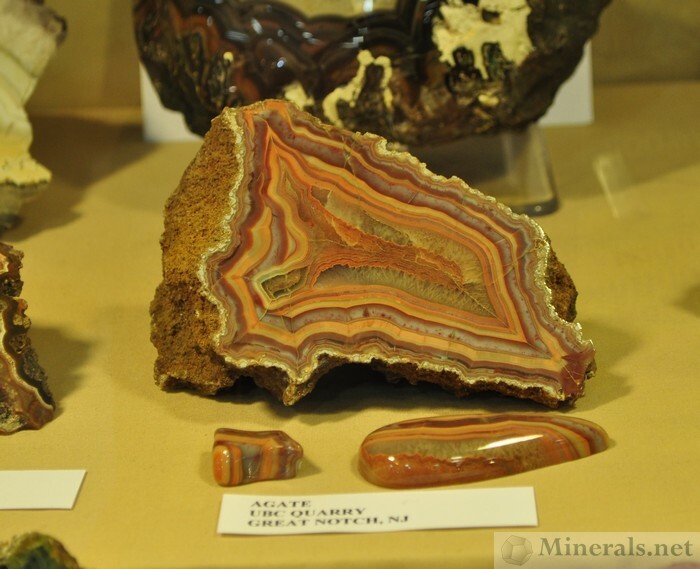 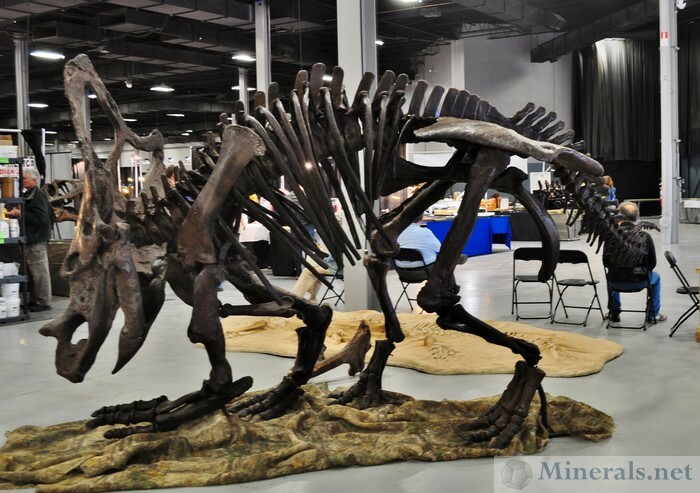 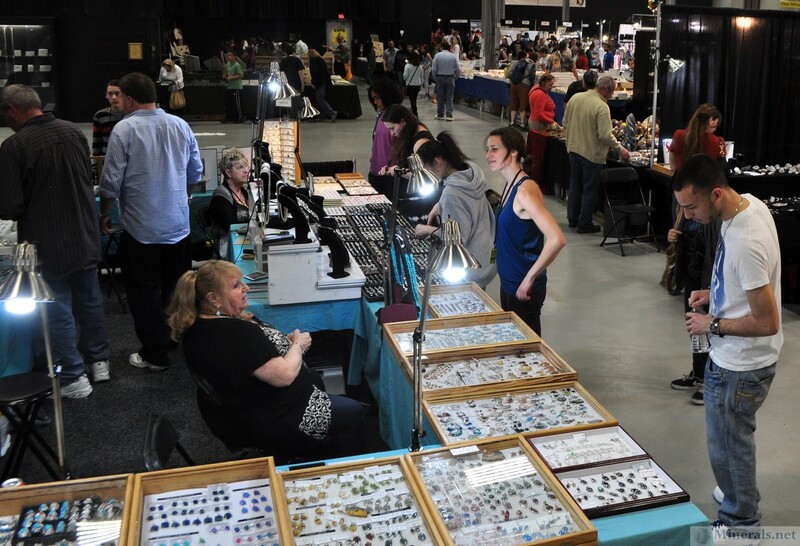 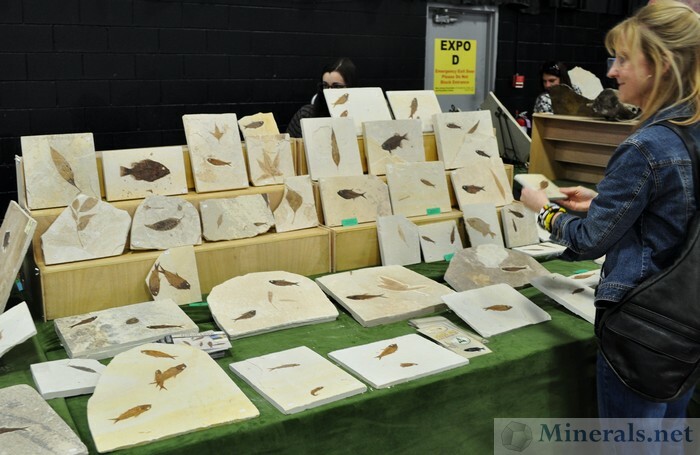 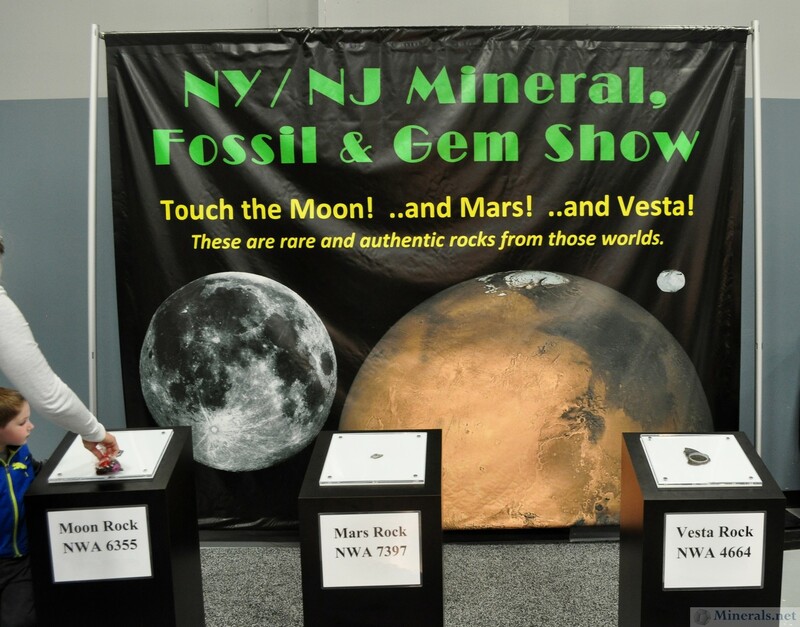 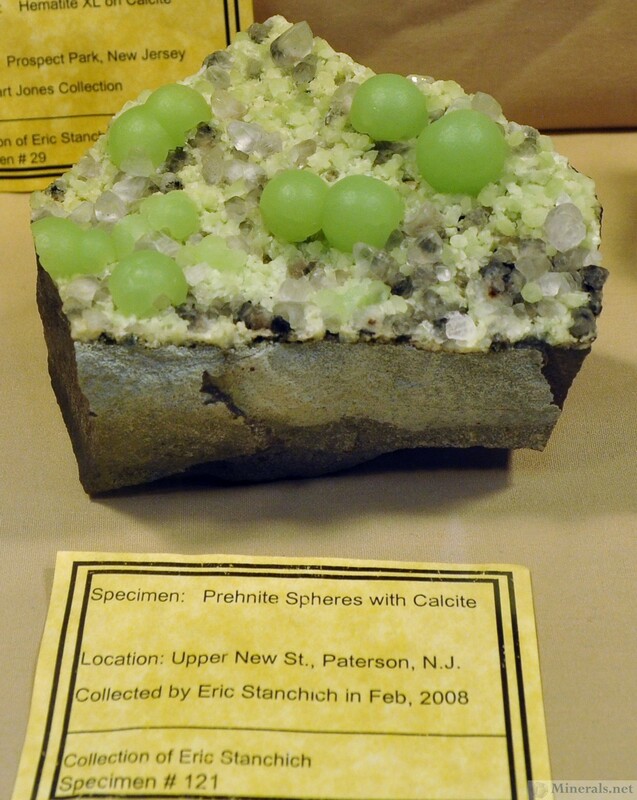 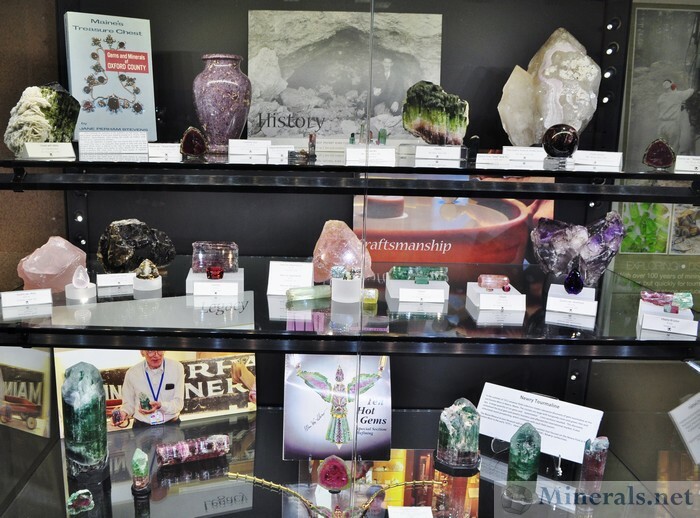 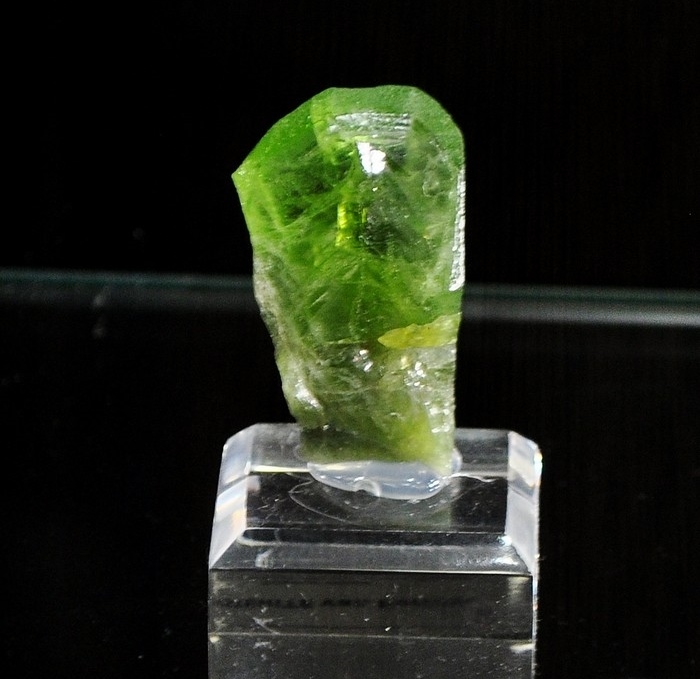 The NY-NJ Gem & Mineral Show took place earlier this month, April 11-13. This new show, now in its third year, has become a significant show, filling a void in one of the most populated regions of the country. 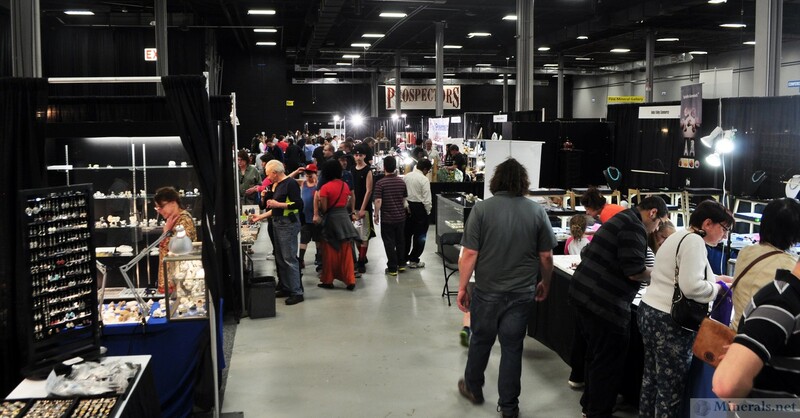 The show took place in the New Jersey Convention and Exposition Center in Edison, New Jersey, about a 40 minute drive from Midtown Manhattan. Minerals.net had a booth at the show, where Hershel Friedman was selling part of his collection of local NY and NJ Minerals, as well as promoting the Minerals.net website. 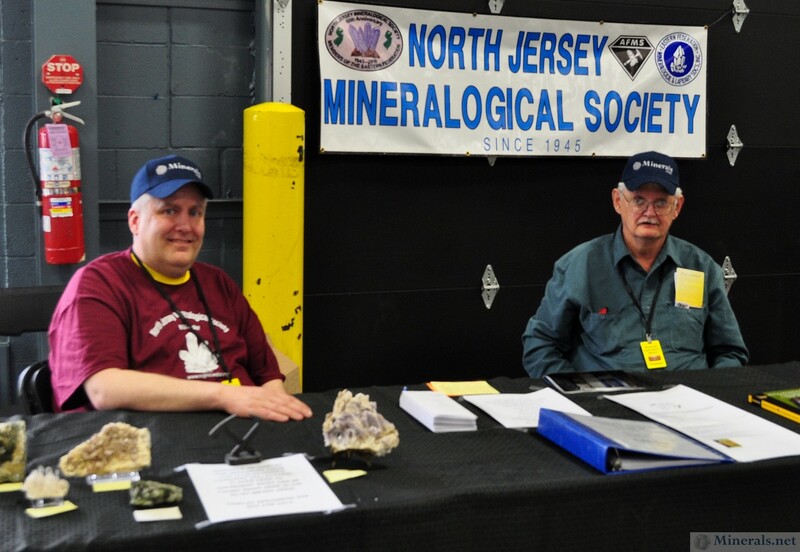 Hershel had set up a screen at the booth that was playing some of the Minerals.net videos he produced. He also placed several articles in the show guide, which can be seen by clicking this link. 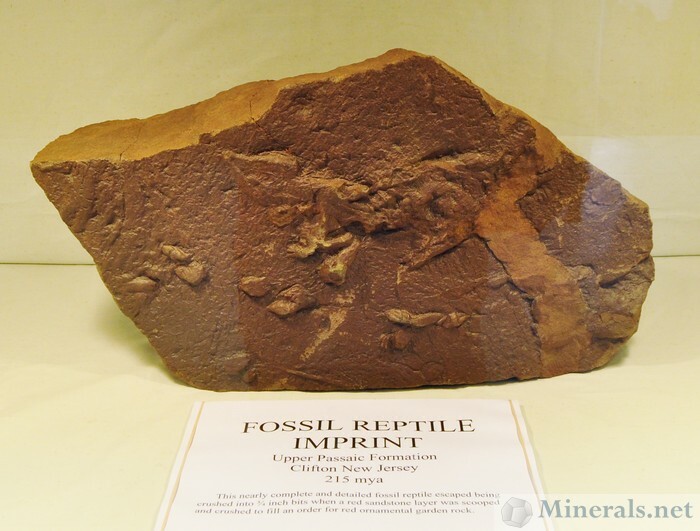 His articles appear on page 16, 17, 24, and 25. 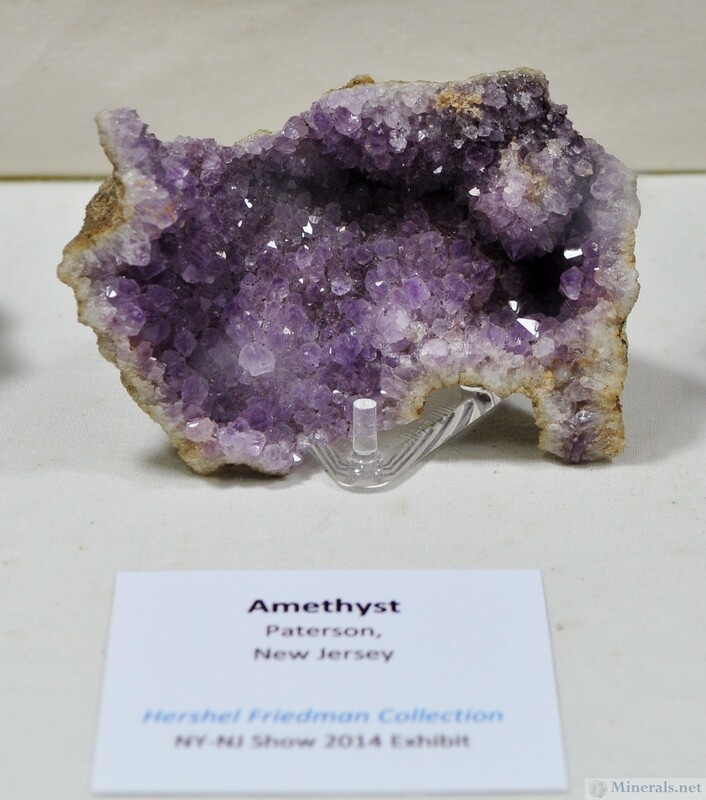 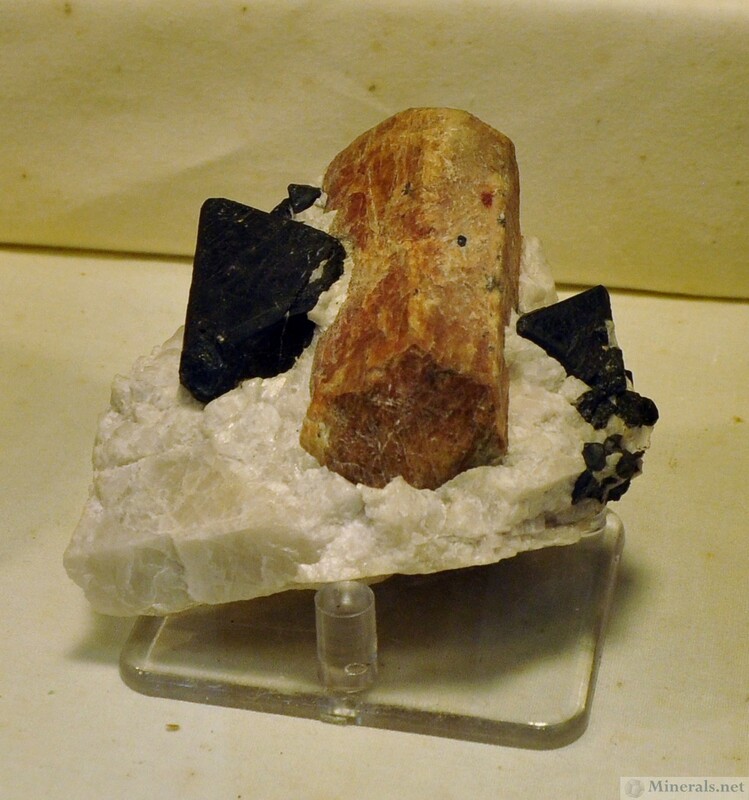 Watch for Hershel Friedman's detailed show report in the July-August Mineralogical Record! Additional Dinosaurs on the Show Floor. 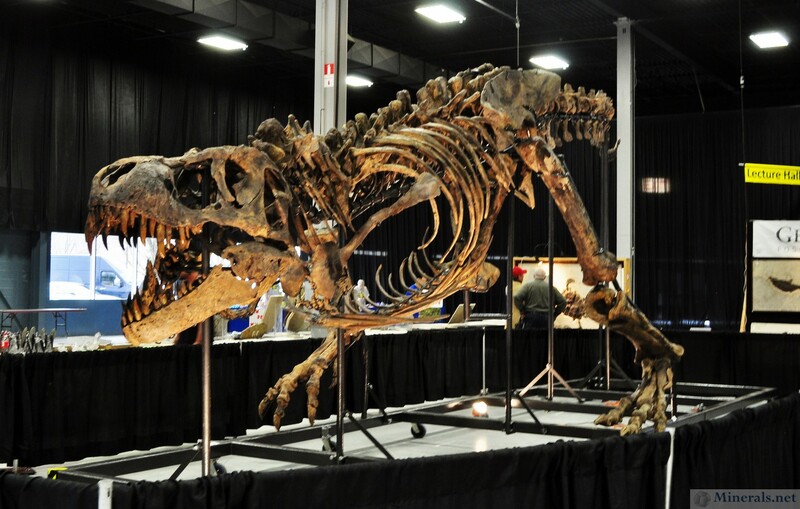 This one is a Chasmomsaurus. And One More Fossilized Dinosaur on the Show Floor. 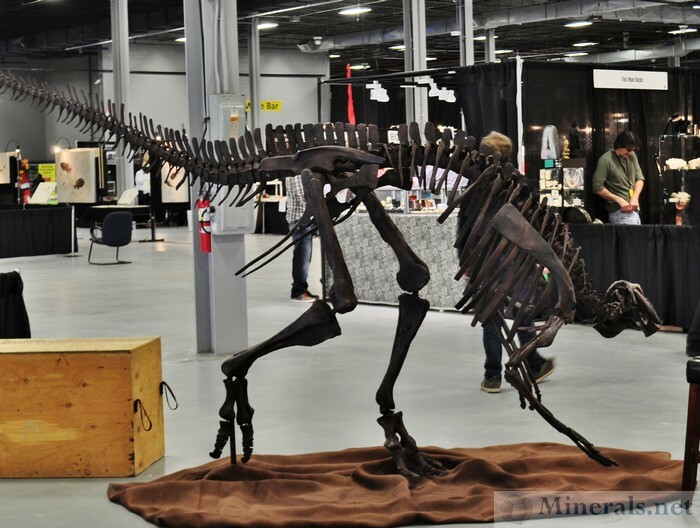 This One is a Juvenile Edmontosaurus. 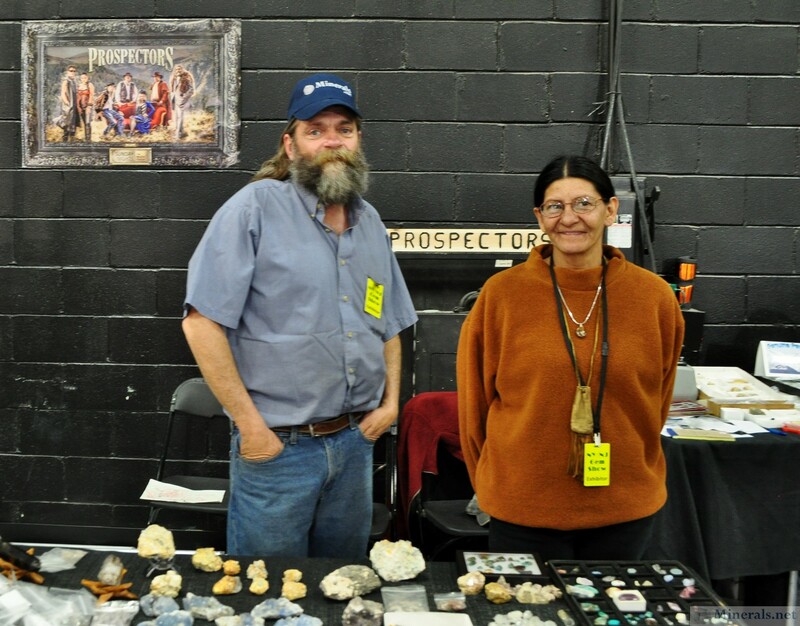 Brian Busse of the Prospector's TV Series and his Wife. 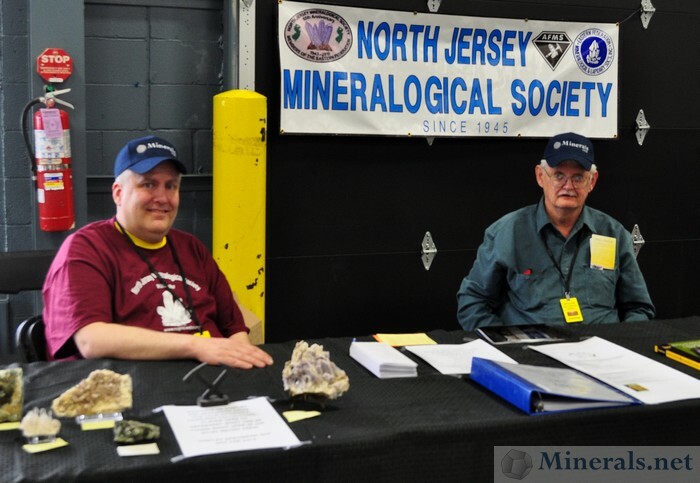 Note the Minerals.net Cap on Brian's Head.